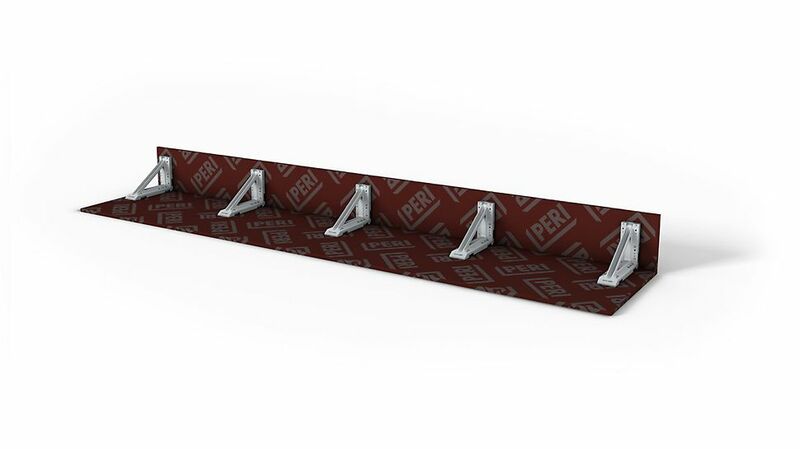 For the setting of stopends at slab edges and the forming of beams up to a height of 50 cm, PERI slab stopend angles are the cost-effective solution. Additional ties or bracing are not necessary. The slab stopend angle is nailed onto the slab table, slab formwork or directly on the wooden girder in longitudinal direction through the existing nail holes. This way, stopend formwork and beams in all shapes and with all sorts of angles, e.g. along curved slab edges or beam crossing, can be easily achieved. Stopend angles are the fast and cost-effective alternative to complex timber solutions.